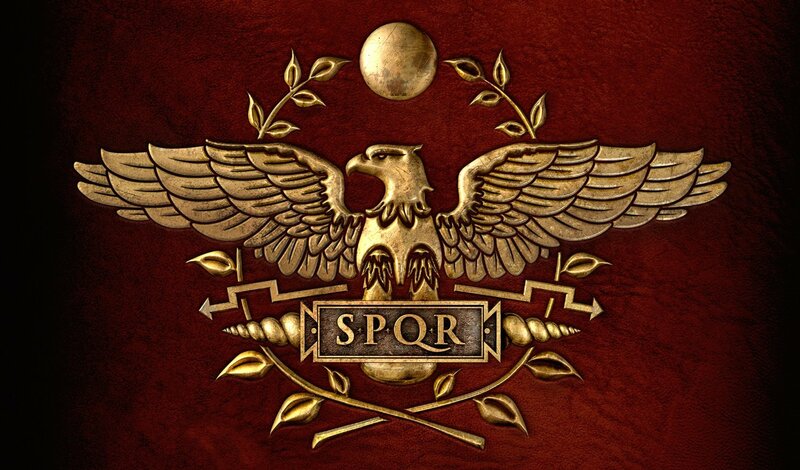 The Eagle, standard of the Legion, Symbol of Rome itself, and clutched in its claws a sign that bears four Letters: SPQR. Yeah, shockingly enough, SPQR is pretty much the same as USA, UK, and so forth. It was the official name of the Roman Republic, and I think they actually kept the name when it became the Roman Empire. Still, I think as far as national names go, it’s a nice one. It reminds of what they stood for, what was important to them, and that even as they had Emperors, who often wielded close to absolute power, even he was constantly reminded that it was the People and their Voice that he was to serve. That it was the People of Rome that the legions marched forth for, to fight and conquer and die. I think that’s a lesson that many nations today could take a valuable lesson from. A lesson that most today have STILL not learned.